Happy Australia Day! Coming to you from Jakarta once again, here’s a jam-packed edition of ASPI suggests, our collection of links, reports and news from the security, defence and strategy world for your long weekend reading pleasure. We’ll kick off with good news: applications for the Round 2 2013 (1 April 2013 – 1 December 2013) ASPI Research Internship Program open today! The ASPI Research Internship Program  is a great opportunity for recent graduates to acquire practical experience in how strategic policy advice is developed and delivered to government. Interns work in a paid research assistant capacity, under the guidance of one of our senior staff. You’ll get the opportunity to make a real contribution to developing strategic policy advice, and in the process, gain some valuable ‘on the job’ training. Australian citizens who have recently graduated from undergraduate or postgraduate studies in a field relevant to ASPI’s research programs are eligible to apply. Applications close 15 February, see here  for more details. Sticking with Australia, the Prime Minister launched Strong and Secure: a strategy for Australia’s national security on Wednesday (you can find the text here ). Australia’s security relationship with Indonesia gets a special mention on page 12, in fact ‘maintaining the positive trajectory of that relationship is a priority’. Yesterday, Chief of the Defence Force General Hurley tweeted  that working together with New Zealand on combined operations like Timor Leste, Solomons Islands and PNG has strengthened our defence relationship. General Hurley made the statement while in New Zealand on Thursday for the biennial BRITANZ meeting . Also present was UK Chief of Defence Staff General David Richardson who, with General Hurley, spoke on Wednesday at an ASPI lunch in Canberra about future security challenges (you can watch the video here ). According to The Australian, a draft copy of the 2013 Defence White Paper suggests Australia will be restoring defence ties with Myanmar . Australia withdrew its last resident defence attaché there in 1979. And while most of the news in Indonesia understandably is still focussed on the Jakarta floods right now, here’s a piece by Indonesia’s ambassador to South Korea on the bilateral relationship , including the joint development of a new jet fighter. 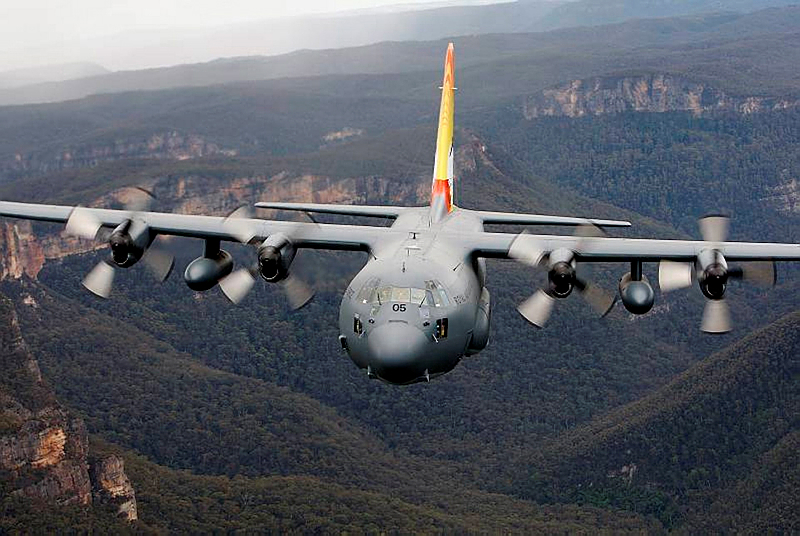 Also, the first former RAAF C-130H aircraft is being prepared for transfer to the Indonesian Air Force (TNI-AU) , as part of a defence agreement announced last year . Next, an article on Indonesia’s reaction to Obama’s second term as US President; observers are not expecting any radical changes in policy  and they hope the relationship will grow only stronger. What does North Korea do in response to tightened UNSC sanctions? Threaten to ‘target’ the US with further nuclear tests and missile launches , of course (ignoring the fact that last month’s missile launch is what caused the tightening in the first place). Speaking of last month’s missile launch, Jeffrey Lewis at Arms Control Wonk takes a close look at the Unha 3 wreckage . On a related note, take Rebecca Johnson’s military ethics course via Twitter ! The associate professor at the Marine Corps University’s Command and Staff College has opened her course for tweeps to audit. To find out more, including the course outline and reading material, check out her blog  or follow #METC on Twitter . And here’s Wired’s coverage  of Johnson’s project. The Pentagon announced on Thursday  that it would begin to lift its official ban on women serving in combat units. The move will eventually make all ground combat jobs open to women. One commentator expressed scepticism about what this means, saying : ‘Does that mean that women are going to be full-up Navy SEALs? Probably not … It probably means there will be sub-specialties within the SEALs for which they are eligible.’ For a range a reactions in the US, check out this article  by Politico. Seen Zero Dark Thirty? Over at Abu Muqawama blog, Adam Elkus uses the film as an inroad to discuss great raids (and disasters) and the increasing complexity of special operations raids like Operation Neptune Spear . Meanwhile, for an Australian perspective on the bin Laden raid, here’s Strategist contributor Jim Molan’s review of No Easy Day . Released last year, the book was written by a member of SEAL Team 6 who was involved in the raid and is an on-the-ground account of what went down in Abbottabad. Rolling Stone magazine isn’t sold on the defence that movies can depict things without necessarily endorsing them. This review of Zero Dark Thirty takes a sceptical view . Brisbane readers, check out Dr Jong Kun Choi of Yonsei University speak on why engagement policy still works and remains to the best policy option to resolve North Korea’s problem. The public lecture  is on Thursday 7 February from 2pm, Griffith University. Image courtesy of Department of Defence .